www.RareBirdAviation.eu ...our partner with whom we are sharing the workshops, hangars and our love for the old birds. 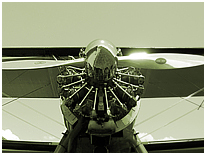 This company is specialized in the restoration & maintenance of various historic airplanes, including the production of components and complete airplanes. www.radialengines.com ...our partner & engine-shop in the US, who is supplying us with new radial engines, props and more. They are very innovative, improving the design and extending the life-time of these reliable engines even further..
www.bigskystearman.com ...our partner & woodworking specialist, building the wings for our Stearman - the best quality wings you will find for this airplane..
www.opencockpit.net ...lots of information regarding the "golden age of aviation". www.pembertonandsons.com ...a "top quality" flight operation of our friend Addison Pemberton and his family, restoring and flying some very rare, historic airplanes. www.vintagewingsandwheels.com ...located "on the other side of this planet", at Hollister Airport in California, Vintage Wings & Wheels, operated by Ernie Persich, focuses on vintage aircraft maintenance and repair. www.barnstormerwalt.com...Walt Pierce, barnstormer and airshow legend, and his 450 Stearman. 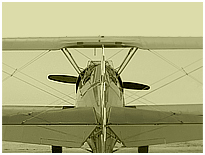 www.stearman.net ...homepage of the Stearman Restorers Association, a wordwide association of pilots who are flying and maintaining these wonderful birds. www.wetter.net ...the never ending discussion... How's the weather tomorrow? Will we feel rain in our open cockpit? Here is the weather-overfiew for our homebase in Austria. www.wolkenatlas.de ...to give you a picture for the Latin words, the clouds are named after. www.wikipedia.org ...lots and lots of information about every theme. Nevertheless, like many other infos on the web, you should view it from a critical angle in regard to objectivity..